The Brewers are reportedly interested in both Christian Yelich and Yu Darvish. Last season, the Milwaukee Brewers led the NL Central for several months, hung around behind the Cubs for some time after that, fought their way into the wild-card hunt and wound up falling one game short of the postseason. For a young team that entered the year with few expectations, it was a surprising and successful season. Now, as everyone in baseball sits on their respective hands during the slowest offseason in recent memory, the Brewers seemed poised to pounce. On Tuesday afternoon, SiriusXM’s Craig Mish reported that Milwaukee had put together a trade proposal for Marlins outfielder Christian Yelich. 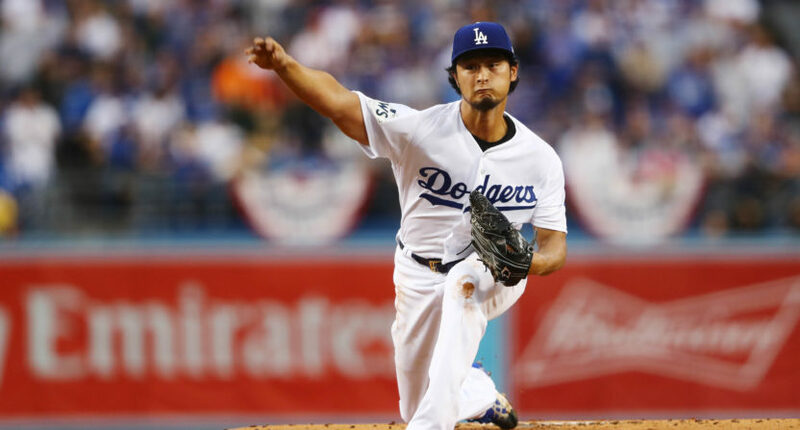 His report comes a day after Yahoo Japan reported (and Ken Rosenthal confirmed) that the Brewers had made an offer to free agent pitcher Yu Darvish. Source : Brewers have put together a trade offer & have shown strong interest Marlins OF Christian Yelich. Other teams remain in the mix. At first, it seems surprising that the Brewers have become such aggressive participants in this offseason. Milwaukee is not typically a big-spender and has not been a major factor on the trade market since acquiring Zack Greinke in an ill-fated 2012 deal. It feels as if the Brewers should be leaving the big moves to baseball’s traditional powers and shopping in the bargain bin. But upon further reflection, this team is exactly the type with lots to gain from making a push. In an increasingly bifurcated league, the Brewers are part of a dwindling middle class of teams that could contend for the playoffs if things break right. Given a wide-open wild-card field and an NL Central favorite (the Cubs) with some major holes to fill, Milwaukee wouldn’t have to improve much to sneak into the postseason. And although the Brewers ran the lowest payroll in baseball last year, owner Mark Anastasio has shown a willingness to spend before. Milwaukee eclipsed $100 million in salary as recently as 2015 and surpassed league-average payroll in 2012. With only $61.5 million currently committed for 2018, the front office has some money to toss around. Yelich’s $7 million and even the $20 million or so Darvish is likely to get would leave the Brewers flexibility to add some more complementary pieces before the season starts. It’s also possible Milwaukee could wind up acquiring Darvish and/or Yelich at a discount. With free agency dragging along, the 31-year-old pitcher might have to accept a below-market deal, and with their last remaining star pleading for a trade, the Marlins might deal Yelich for less than their dream offer. Some team will likely benefit from the depressed free-agent market and Miami’s desperation, and it might as well be the Brewers. Yelich would fit well on the Brewers roster, slotting into a centerfield slot that produced little value in 2017 and batting in front of Milwaukee’s sluggers. Darvish, meanwhile, could serve as a frontman for a rotation that overachieved in 2017. After succeeding last year thanks to contributions up and down the roster, a couple stars could help stabilize the Brewers entering next season. Obviously adding Darvish and Yelich would not automatically make the Brewers a playoff team, but it would at least put them in the wild-card hunt, within striking distance of the Cubs in the division race. At a time when a third of the league is rebuilding while six or seven teams gobble up talent, a middle-of-the-road team making a run at the postseason would be a welcome sight.